I have not written a blog for some time. Not that I did not have anything to share, but I was burdened with a neck hernia. Now it seems like I’m recovering, I can start blogging again! For this time I will keep the content very light weighted. I was asked to be a speaker on the upcoming AXUG European congress. This event will take place on May 9 and 10 in Stuttgart, Germany. The congress aims to be an event where it provides valuable educational opportunities for Dynamics AX users. The congress is a user driven event for helping technical and functional persons maximize the return on their investment. Why should you attend this congress? You can network with Microsoft Dynamics AX peers who use the product on a daily basis. My session is about the performance and troubleshooting when using the Data Import Export Framework. People will learn how to approach performance and troubleshooting. You will learn tips, tricks and best practices that are sure to help you being successful in future data import and export. As Kaya Consulting we love to troubleshoot on AX performance and other issues in general, so when they asked me to do a session on Data Import Export Framework, the link with performance and troubleshooting appeared to be a very attractive topic. The session is targeted on Microsoft Dynamics AX 2012 and will be conducted in English. During the preparation I was luckily able to reproduce some issues I did encounter in the past or were reported on a Dynamics AX forum. For the session I only have 45 minutes. It would be impossible to share all experiences, but interesting topics which would be worth to mention will be part of the session. I will be available during this event to meet, greet and discuss your possible questions or problems. 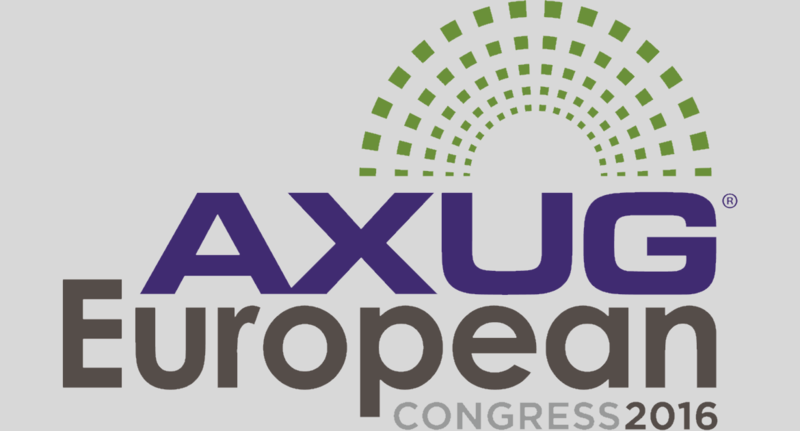 If you want to attend the congress you can visit the AXUG European congress site for all details. Also subscribe to be the first to receive my latest blog content! Would like to meet you there. Do you know if there are any tracks for the Life Sciences clients?